Don’t take the day-to-day opportunities with your children for granted. It’s those joy-filled moments that create memories and build unique and irreplaceable connections between fathers and children. Some recent research studies have found biological changes in new fathers — even at the hormonal and brain cell level. Much of the available brain research takes place on animals that tend to mirror human patterns of forming pair bonds and co-parenting. One study looked at behavior among mice, and concluded that males with new offspring develop new brain cells and neurons when they are physically present with their pups that do not form when they are absent. Then, looking at primates, researchers have found that the brains of new fathers are different — they develop more neuron connections in areas of the brain associated with caretaking and bonding. Another study of degu rats discovered that babies’ brains developed normally if the father rat stayed in the nest, but broke down at the level of synapses — in areas of the brain that influence decision-making and emotions — when the father was removed. We might hesitate to draw strong conclusions based on hormone and brain studies — especially when they involve rats and monkeys. Nevertheless, these findings are consistent with what we have found to be true: fatherhood changes a man. That tiny, wrinkly bundle that mostly eats, cries, sleeps and poops holds a powerful fascination for a new dad. That’s why a man in his mid-twenties, eager to make his mark in the world, will make it his business to spend thirty minutes making sure the new car seat is secure in the back seat of his sports car. That’s why, in a few months or years, he’ll trade in the sports car for something more practical. And that’s why he will likely become more sensitive, possibly more responsible, and will probably reign in some of his career ambitions in favor of saving more of his time and energy for his home life. It’s true: fatherhood changes us for the better. More importantly, involved fathers change the world for their children in important ways. Here at the Center, there are many words we use to describe a father’s powerful influence, but we often come back to these two: unique and irreplaceable. There are negative effects when dads are absent and overwhelmingly positive results when they are involved. 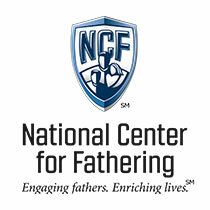 Non-custodial fathers, step-dads and grandfathers all make critical contributions to children’s development. So, dad, don’t take the day-to-day opportunities with your children for granted. Savor those rushes of hormones that help make fathering so rewarding. It’s those joy-filled moments that create memories and build unique and irreplaceable connections between fathers and children. If you’re a new dad, soak in all the great moments and emotions of this stage in your fathering. Dive in; learn to meet your child’s needs; build a strong bond with your baby. If those early years of fatherhood are a distant memory, try to recapture some of the wonder and commitment that you had then. Look at photos or old baby items, watch videos, or reminisce with a spouse or family member. Set aside time every day to help your child develop an aptitude or skill, whether it’s rolling a ball back and forth with your infant or helping your older child practice a sport or finish his homework.